The family bathroom is one of the most important rooms in the house, but it can also be the most dangerous where children are concerned. If you need tips on how to baby-proof and child-proof your bathroom, today’s guest post has a few quick and easy ways to prevent accidents. This might seem like the most obvious thing to do, but it’s also one of those little details that can easily be missed. These days, you can buy mats for tiled floors to prevent slips and trips that are very chic and stylish, so they don’t interfere with your décor. Looks-wise, a transparent mat works well inside the bath or shower tray, as it doesn’t interfere with the overall look but still delivers on the safety front. 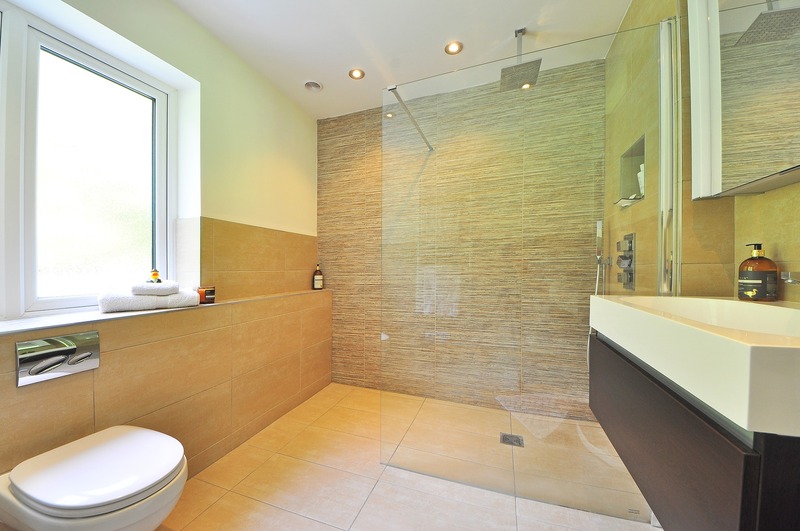 Another way of reducing any slips or falls is to install a shower screen rather than a curtain. They catch far more water as they have a better seal, which leads to less liquid spilling out onto your tiles. They don’t have to be unsightly either; many modern ones, such as those on betterbathrooms.com, blend in perfectly. A bath seat designed specifically for children is a great way to keep them secure; there are lots of different products on the market, including some that can be hung or clipped onto the side of the bath. As well as providing a sturdy seat for small children, they also help them to stand up more easily when they’re ready to get out. Taps might not seem dangerous to us, but they’re the perfect height for a child to bump into or get their fingers trapped in. There are plenty of low-cost tap covers out there which either come in stylish designs or fun, colourful child-friendly versions. From toilet locks to prevent drowning, to cabinet locks to stop tiny hands reaching for medicine, or simply outer door locks that are placed high up which will prevent children from wandering in unattended, always lock everything possible. Speaking of locking items up, think about the heated accessories you use in a bathroom. Whilst you’re compartmentalising your storage, make sure you have a lockable unit solely for electricals and other things that reach high temperatures. Finally, for those of you who are able to, adjust the temperature of the water that comes through from the mains. 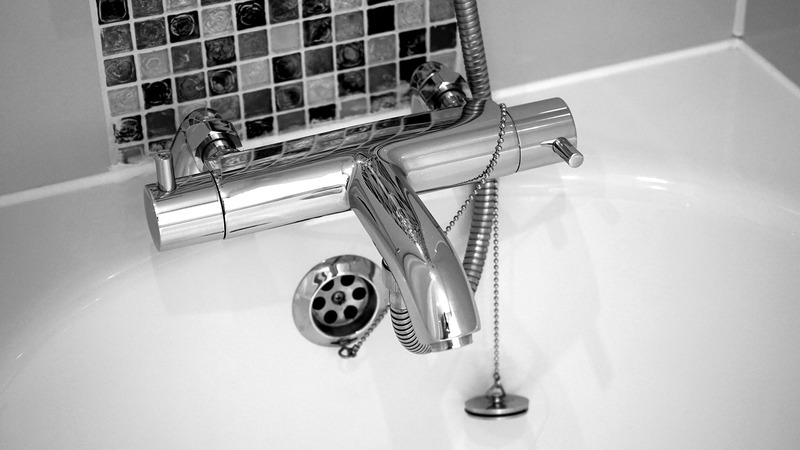 Hot water to us could be scalding to a child, so it’s a good idea to make sure that whatever comes out of the bath tap is no more than 120 degrees Fahrenheit. I hope these top tips have shown you how a few simple changes can make a huge difference to bathroom safety. 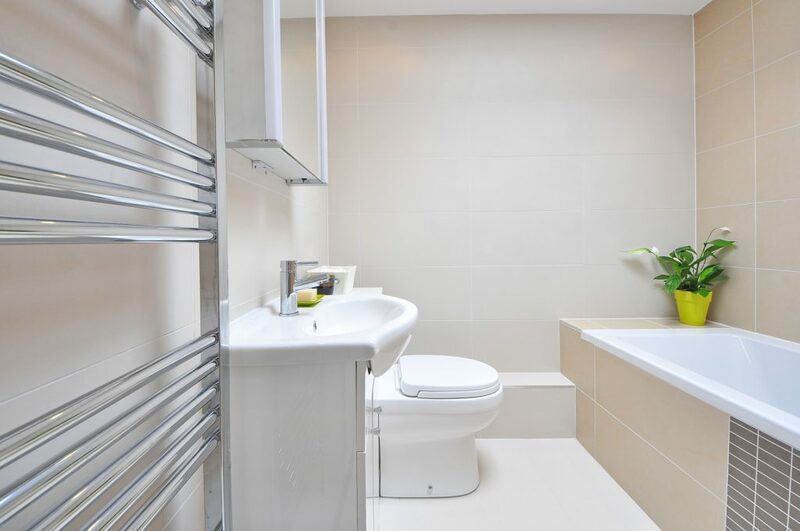 Do you have any tips for child-proofing the family bathroom? Thank you for these tips. My little one will be crawling soon, and we’re scrambling to make sure we’re ready! Ah I remember that growing feeling of panic well! It happens so fast doesn’t it – great idea to get your home ready before your little one is on the move so you’ve got peace of mind. Thanks for sharing this valuable tips! it’s helpful for me because i had planned for my child.